Das Essen ist lecker. La Comida esta sabrosa. The food is delicious. 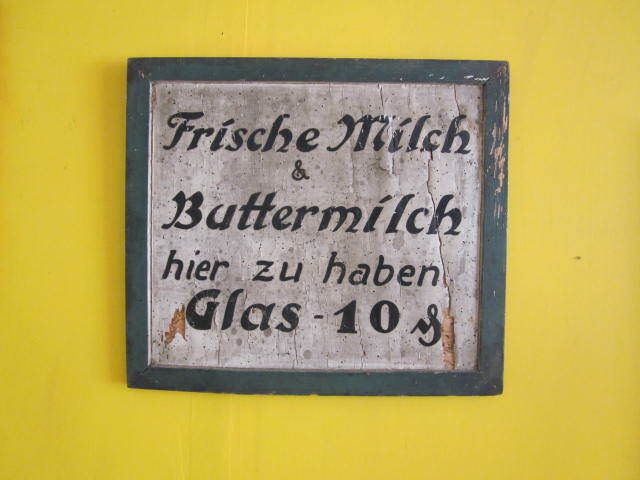 No matter if you say it in German, Spanish or English, it all means the same thing. The cuisine at Johanna’s Restaurant is a real treat. You will not go away hungry or disappointed. 12:00 p.m. to 8:00 p.m Closed Monday. 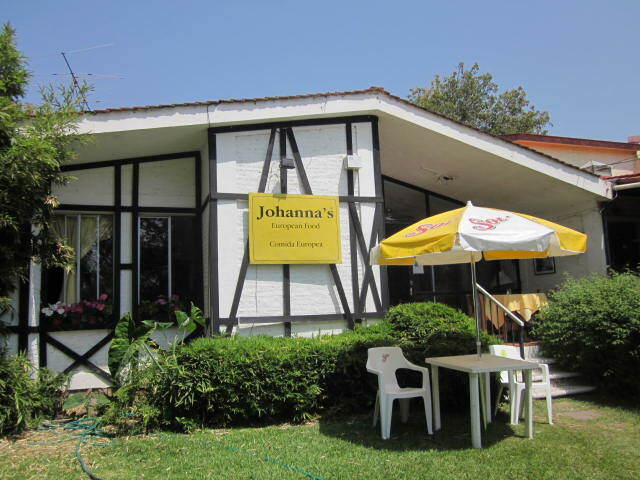 Johanna’s is located at the eastern edge of Ajijic, near the Plaza Bugambilias, which is on the Carretera, next to Revolution Street. The address is: Boulevard Ajijic 118-A, Ajijic, Mexico. They serve German, French, Russian and Austrian food. Johanna’ s started in 1997. The owners, Johanna Schmidt and Lic. Rodrigo De Alba started Johanna’ s in 1997. It is easy to find. 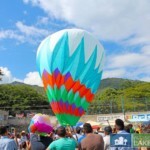 As you go into Ajijic it is on the mountain side of the Carretera. There is always a large sign out front with their daily special on it. It is in a home that has been converted into several cozy eating spaces. 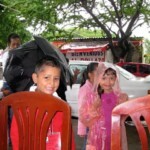 When I arrived, Rodrigo quickly opened the front door and met me on the porch, as if I were visiting someone’s home. I felt welcomed and comfortable there. 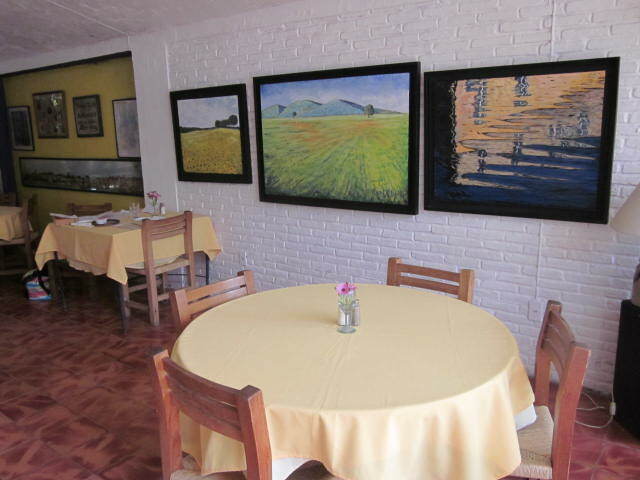 I had a hard time deciding where to sit because all of the tables are in interesting areas surrounded with beautiful art on the walls and alcoves with wines and other treats. There are fifteen tables with room enough for sixty people. They also do take-out. There are tables on the front porch and in the back garden. While I was waiting for my friend to join me, I talked with Owner, Lic. Rodrigo De Alba. Rodrigo was a gracious host. He took the time to answer my questions and offered information I wouldn’t have remembered to ask. He said that several groups meet there regularly, including a wine group. I can see why. He has an extensive wine list. He has Merlot from California, Riesling from Germany, Cabernet Sauvignon from Chili and Mexico, Malbec from Argentina, Pinotage from South Africa, Rioja from Spain and many more. Twenty-one different wines are on his wine list. He also has Sangria, Bohemia Beer and sodas. His wines range from $180 pesos a bottle to $299 pesos a bottle. He also sells wine by the glass. The beer is $25 pesos a glass. Sangria is $45 pesos and soda and ice tea are $18 pesos a glass. Rodrigo brought me Fodor’s Mexico Travel Guide and Johanna’s has a nice write up in it. They called it Bavaria on the Lake Chapala. 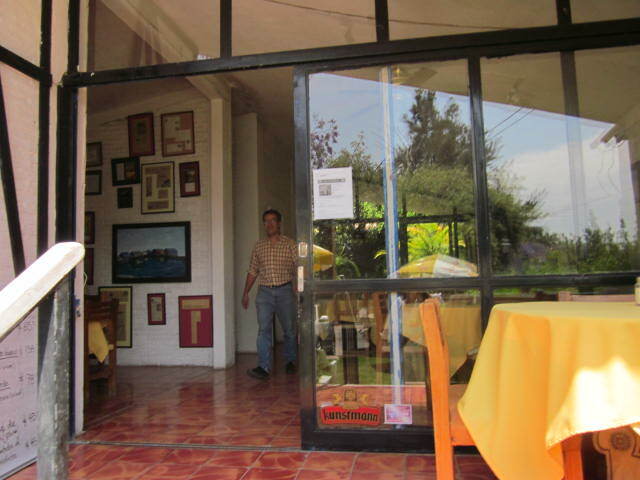 Five people run the restaurant, including Rodrigo and Johanna. Their hours are from 12:00 p.m. to 8:00 p.m. Tuesday through Sunday. You can order from their extensive menu or their daily special. Many times their daily specials are not on the menu. He may have trout in white wine and herbs, rabbit, pork chops, sauerbraten or some other European treat. The price of the special is usually $138 pesos. Rodrigo mentioned that the Romeo Club meets there. I had never before heard of that club. I looked it up online. It is a group of retired men. They eat out together. He also said that the Shriners meet there. 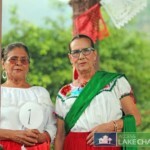 They are extremely active in the Lakeside community. There are many interesting items on the menu. 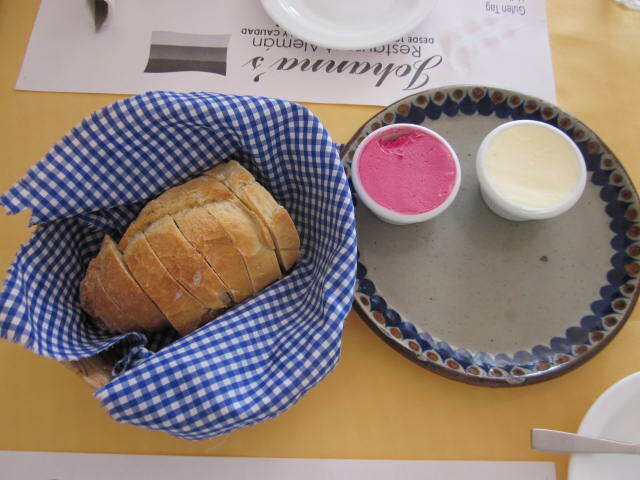 Their entrees include snails, white asparagus, potato pancakes with applesauce, and herring. They are $89 pesos each. 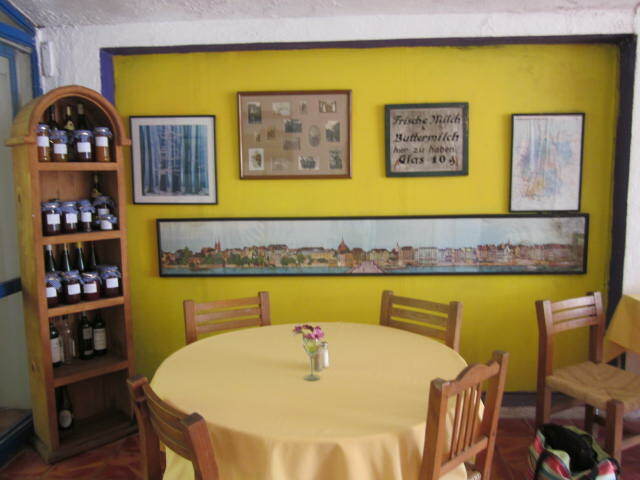 Salads are: Green salad with homemade dressing for 42 pesos, Beet salad with homemade dressing for $42 pesos and spinach quiche with green salad for $89 pesos. 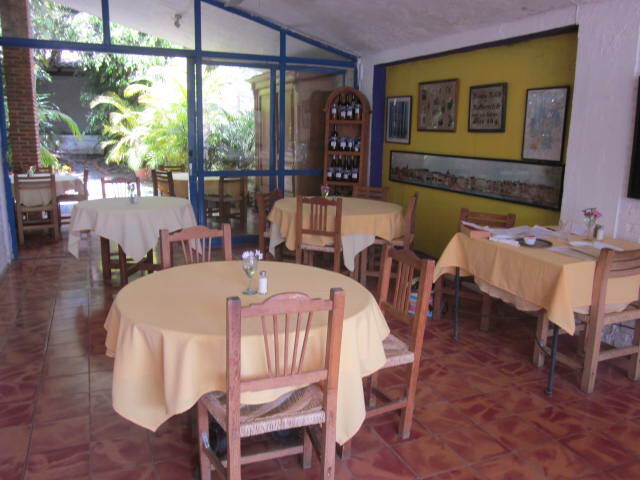 Soups are: Onion soup with melted cheese for $65 pesos and German lintel soup for 45 pesos. 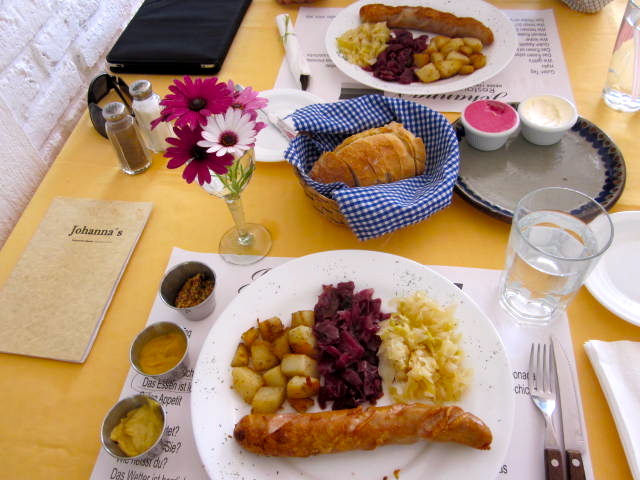 They serve eight different meat dishes including their most popular dish—Bratwurst. We decided on that and it was a real treat. Bratwurst with homemade sauerkraut, homemade red cabbage and potatoes. Next time I go I will try one of the other dishes, if I can bring myself to pass up the Bratwurst. Cost is only $108 pesos. Goulasch, Wienerschnitzel, Jagerschnitzel & more! 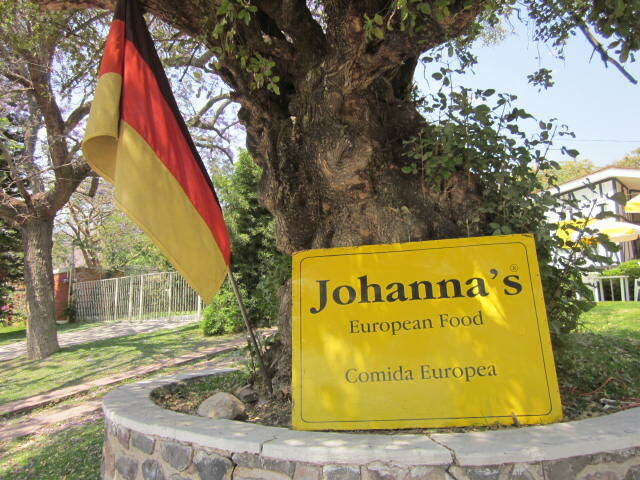 There is a combo plate with traditional German sausages for $138 pesos. Wienerschnitzel, which is marinated and breaded pork Vienna style and capers, potato and red cabbage or you can have a green salad. Only $105 pesos. Jagerschnitzel, which is a pork dish with mushroom sauce and potato and red cabbage. $108 pesos. Lamm, which is grilled lamb served with Sauerkraut and potato. $138 pesos. Liepziger Filet which is Grilled filet steak Liepziger style with Dijon and dill sauce, potato and red cabbage or green salad. $125 pesos. 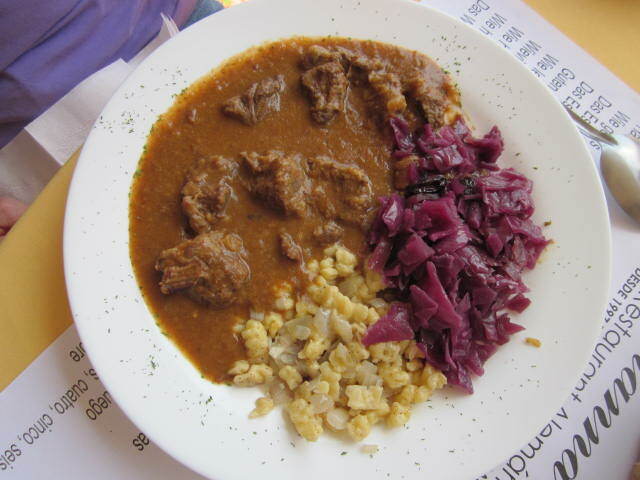 Goulash, which is the traditional Hungarian goulasch with pepper and paprika, red cabbage and potato. 108 pesos. Their chicken dish is Chicken Schnitzel. A breaded chicken beast served with red cabbage and potato. 89 pesos. Hamburguesa, hamburger with fried potato. $68 pesos. Wienerschnitzel, breaded Veal with fried potatoes. $68 pesos. Pflaumenstrudel for dessert. 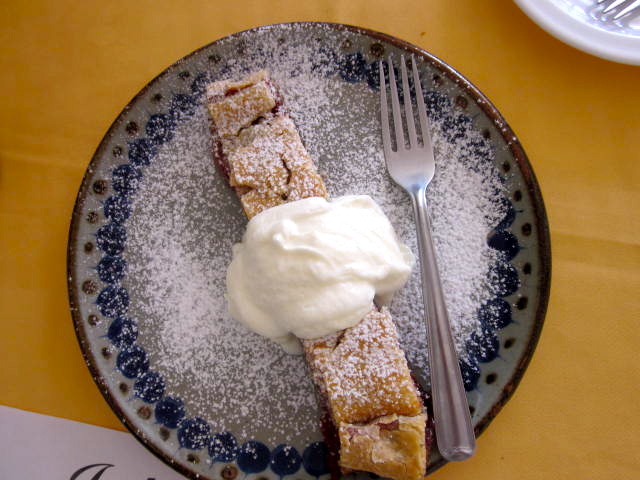 It is a plum filled strudel, served with whipped cream. Delicious. 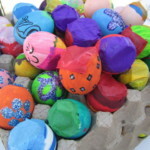 $45 pesos. Tagessussspeise is German for the pastry of the day. 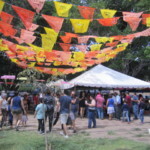 $45 pesos. Top it off with Viennese or American coffee and you have a memorable meal. 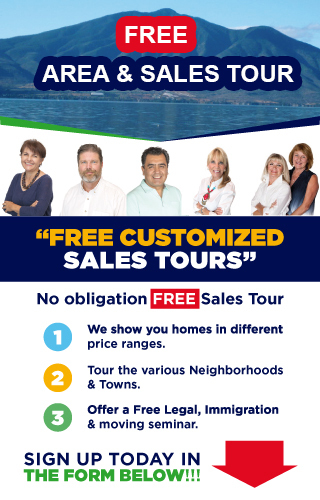 No reason to have to fly to Europe when for just a few pesos you can enjoy the European food, atmosphere and hospitality right here at the lake. Guten Appetit. Buen Provecho. Bon Appetit.